Applications are now being accepted for substitute teachers. If you are interested in applying, please e-mail your CV to info.school@laaslonati.org, subject line: Substitute position. Applicants who meet the criteria for working as a substitute at LAAS will be contacted for an interview. Applications for full-time teaching positions within our Primary and Middle School are always welcome and kept on file. Qualified applicants must have a university degree/certification in specialization. Please e-mail your cover letter and CV to info.school@laaslonati.org, subject line: Teaching position. 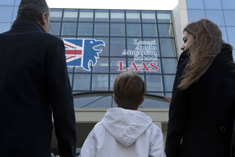 LAAS is committed to excellence and holds itself to a high standard of recruitment practice, seeking to safeguard at all times the welfare of our students. All employment offers are held to scrupulous personal and criminal background checks.